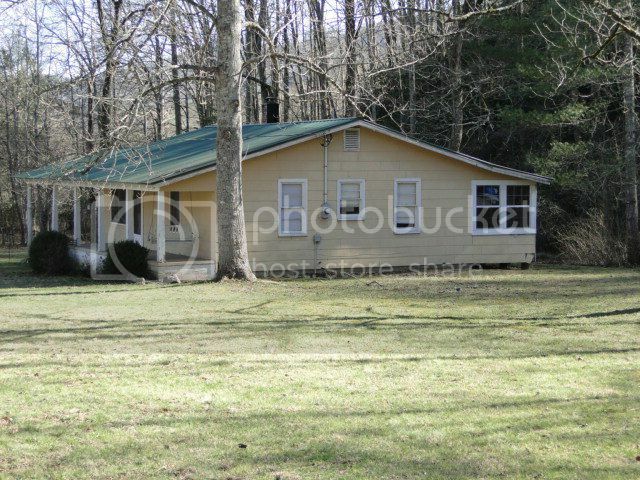 This is an adorable yellow cottage for sale in the mountains of Franklin NC! If you're looking for a little place in the mountains to get away from it all... you've found it! This affordable cottage would make a great second home or a very cute starter home... lots of potential here! Located on 1.33 acres of flat, usable land with a stream. There is plenty of yard space for the kids/grandkids to play! Swing on the front porch and enjoy the nice view. And when it's raining, you can park in the carport and stay dry as you enter the home! Click here for more photos and information on this home! 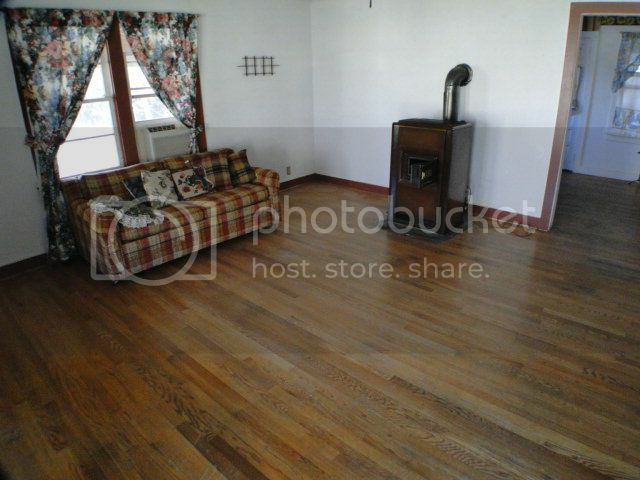 There are NICE hardwood floors throughout the home. Oil heat and the tank is owned! The roof is only 3 years old and the well is very new, too! 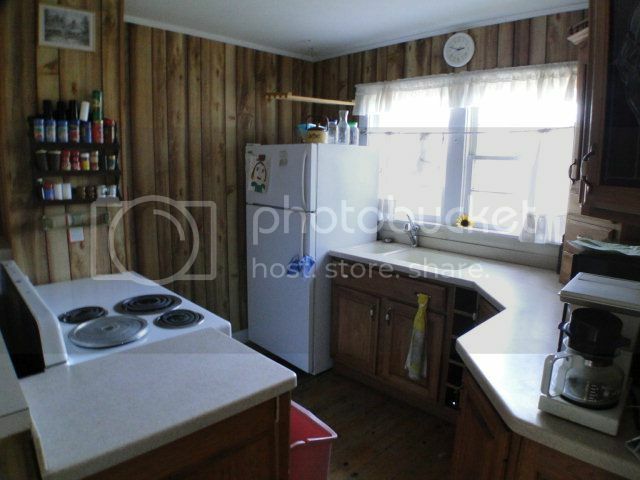 Cook up some farmhouse fixin's in the quaint country kitchen with eat-in dining area and hardwood floors. There is a covered deck off of the kitchen with LOTS of windows letting in beautiful light! 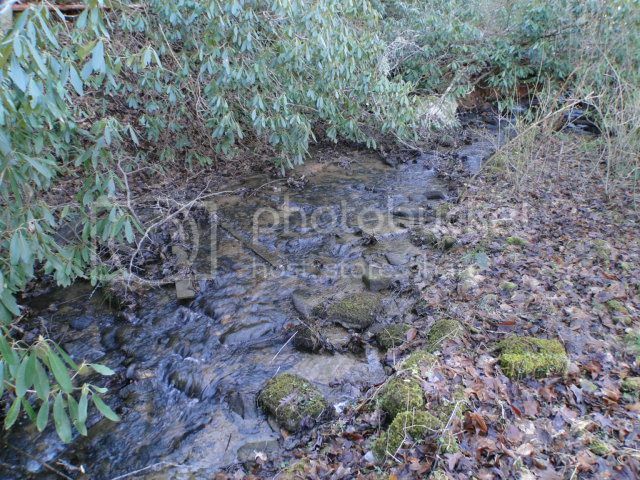 You'll enjoy the lovely stream that runs through the property. This home is located in the Burningtown Area of Franklin NC, a mountainous township surrounded by USFS land. You're sure to see some wildlife here! Find more great homes in Franklin NC HERE! Check out our foreclosure list HERE! I want you to know how much Cindy and I appreciate the high level of service you provided to us. Not only were you extremely knowledgeable about the Franklin area real estate market, but even more, we always believed we could trust what you were telling us and you were most conscientious in getting back to us in a timely manner. When we have the opportunity to recommend a real estate broker to someone you can be assured we will recommend you. Thank you so much.